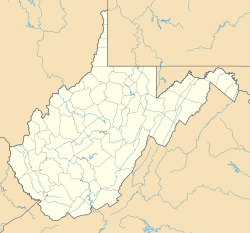 Greenwood is a ghost town in Fayette County, West Virginia, United States. Greenwood was 0.8 miles (1.3 km) northwest of Lawton. Greenwood appeared on USGS maps as late as 1912. ^ a b "Greenwood". Geographic Names Information System. United States Geological Survey. This page was last edited on 14 January 2018, at 23:37 (UTC).